Whatever the size or ambition of your project, we work hard to add value with good design; we will identify possibilities and creative solutions that you might not see for yourself that will really make your project stand out. This process starts with us getting an understanding of what you want to achieve and fully reviewing the site or buildings we are working with. We have years of experience and if you look at the client testimonials on our portfolio pages, and our designs, you will see how we add value and exceed our clients expectations. We are also skilled at gaining approvals and by negotiating our way through the various constraints that you will come across. Land and buildings is a precious commodity so it is especially important that we design well and build efficiently, getting the most out of a site, reusing land efficiently and building low energy, environmentally sensitive buildings. Our portfolio shows planning approvals for a wide range of projects, often in challenging contexts. Our approval rate is close to 100% and we work hard to negotiate designs with planners in advance of submission so that our clients gain confidence that the project will gain approval. Much of our work is in the National Park, in conservation areas and in sensitive contexts which give us the skills to present a strong case at the planning stage for you. This is the key to our success. We work with planning authorities across the region and have developed successful relationships with planners in East Riding and Derbyshire Dales as well as cities such as Scarborough and Sheffield. Simon Gedye has worked on historic buildings across Yorkshire since starting his career as an architect in 1989. Simon’s work to listed building has ranged from the Georgian Theatre in Richmond (Grade1), St Johns Church in Scunthorpe (Grade 2*) Sleaford Maltings (Grade 2*) to Vestry Hall in Sheffield. This knowledge in working on historic buildings and in conservation areas has informed the work at Studio Gedye. 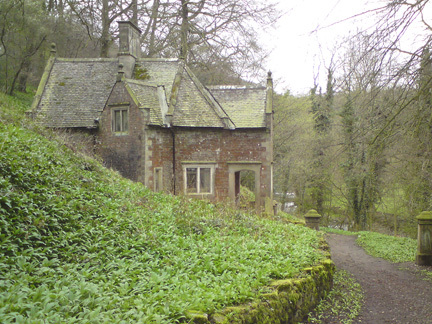 We work for The National Trust and obtained Listed Building Consent for extension and conversion of the grade 2 listed Wood Lodge at Ilam Hall in 2012. 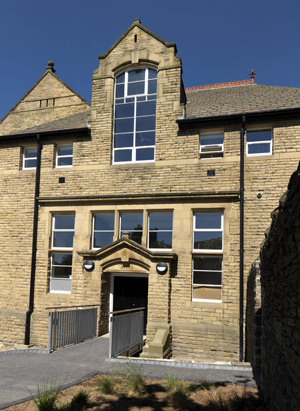 Our project to extend and alter the Grange in Sheffield was shortlisted for The RIBA regional Awards in 2012. 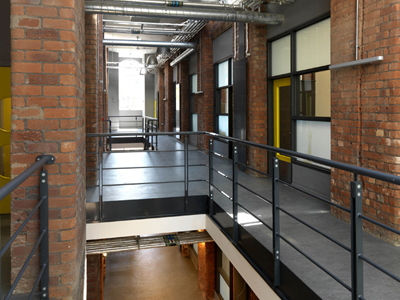 SUM Studios won the Sheffield Design Award for best Conservation Project in 2014. In 2014, Simon’s work on historic buildings was recognised by the RIBA and he was accredited as a Conservation Architect. Accreditation is a requirement for consultants working on grant funded heritage projects for funders such as HLF and English Heritage. We continue to work on listed buildings and for The National Trust and have the skills, experience and accreditation to design creatively and assist you by sensitively assessing the impact of our designs on historic buildings and gaining the necessary approvals. We specialise in producing high quality construction information that will gain the necessary building regulation approvals before you build and allow you to gain competitive tenders from contractors and builders. We work closely with an Approved Building Inspector to ensure that our projects gain plans approval for compliance with Building Regulations before you start to build and that they are built to current building standards. We are committed to minimising the impact of our buildings on the environment. Our designs are carefully orientated to exploit heat gain in winter and to minimise overheating in the summer. 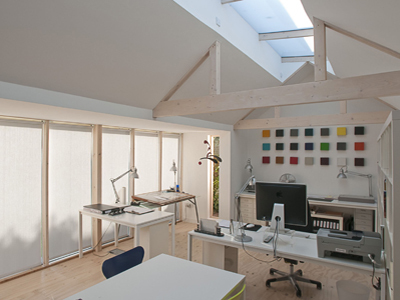 Natural ventilation and good natural light levels are a prime consideration. We have expertise in sustainable building technologies such as photovoltaics, heat pumps, biomass and rainwater harvesting, all of which have been employed in our built projects. We can advise you on the best measures to employ to achieve a sustainable project and on the best way to achieve your requirements. We are focussed on building the projects that we are commissioned to design. Gaining the approvals you need and advising on health and safety legislation as well as party wall legislation is the first step. We work hard to keep our building projects to time and within budget. This might mean being proactive, understanding the funding sources available and working with you to find the right builder or the best way to procure the project. We work to exacting timescales to meet deadlines whatever they are, to meet moving dates, open for a season or to meet funding deadlines. We can advise on the selection of a suitable builder, gaining the most competitive price and assisting during the building process. 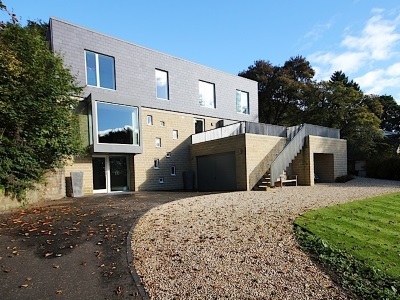 Our approach is flexible and we can offer a full traditional architect’s service, certifying and overseeing work on site, or a design and build service. We pride ourselves in achieving great results for our clients. Our biggest achievements are in delivering great buildings that our clients love and we listen to what our clients say about us. Our designs have been recognised for their quality, sensitivity and inspiration not only by our clients but also in the Regional RIBA and Sheffield Design Awards.